Client Stadio TDV S.p.A. / Euronova S.r.l. Systematica was appointed by Euronova S.r.l. 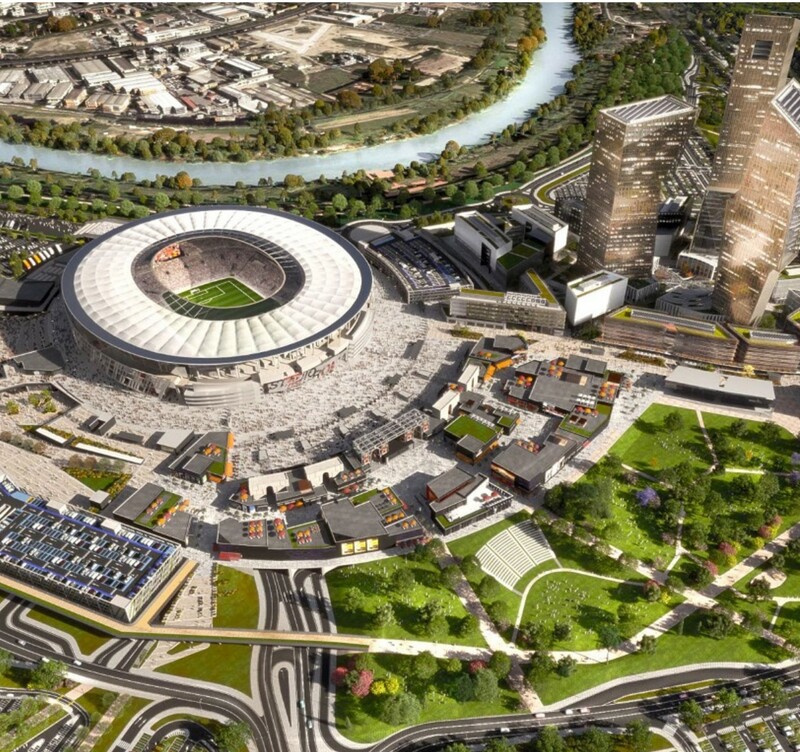 and Stadio TDV S.p.A., through the coordination of Lendlease, to support the design of the new integrated multi-function Master Plan of A.S. Roma Stadium and Tor di Valle development in Rome, with the definition of the multi-modal mobility and accessibility plan. The Stadio della Roma – Tor di Valle development would represent a new relevant pole of excellence for Rome, for the very articulated mix of private and public functions is made of – sport with the Stadium and Trigoria training fields, entertainment with the Convivium, the AS Rome Village and the commercial spine, office with the new Business District and the urban park -, as well as for its significant attractive role within both metropolitan mobility framework of Rome as well at regional and international scale, thanks to its strategic location and vicinity to Fiumicino International Airport. Systematica joined the multi-disciplinary work team with the aim of setting out and verifying through ad-hoc transport modelling exercises, the overall multimodal accessibility strategy, the external road infrastructure system, the internal vehicular circulation system, all public and private parking lots, the overall pedestrian circulation across the public spaces which connects all functions to main nodes of access as the refurbished Tor di Valle Station, Magliana Station and very permeable and dense cycling / pedestrian network which leads to car parks. 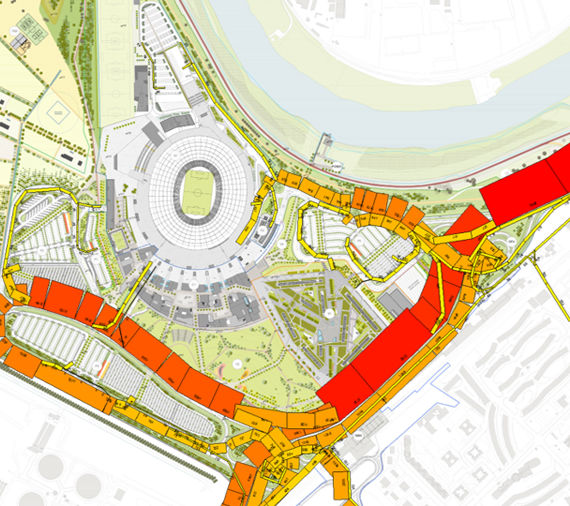 Ad hoc transport modelling are carried out to assess the overall accessibility to ‘Stadio della Roma – TDV’ development, conceived to be the Rome new relevant pole of excellence.